15 OPEN ENDED CONVERSATION STARTER QUESTIONS!!! Starting conversations with strangers at official meetings or during casual encounters is not easy but here are some open ended questions which you can try out depending on the circumstances. What excites you the most right now? What exciting things happened to you this year? What’s the best thing that happened to you this year? What’s the most important thing I should know about you? How can I be most helpful to you right now? Who is your favorite role model if you have one? Is family or work your first priority? What would you change which seems impossible now? What is going really well in your life? What would make you more optimistic about the future? This entry was posted in common sense and tagged common sense, conversations, future, life, profession, questions, starters on May 4, 2018 by uldissprogis. HOW TO HAVE A GOOD CONVERSATION!!! 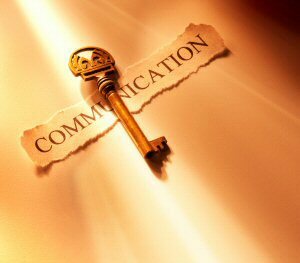 Before talking to someone it is important to first know what the goal, purpose, or subject of the conversation is. Is it to just greet and just say hello or do you want to convey some information or instructions, get an answer to a question, discuss a topic, get to better know a human, get someone to help you with a task, or just make idle chit chat. If the conversation is designed to sell something, to persuade someone, or to discuss job performance then this requires specialized skill sets not covered here. Public speaking is a one way conversation which is a skill we will not cover here. A conversation may last longer than the goal that you had in mind but you should do your best to complete the goal of the conversation before you delve into other subject or topic areas if the need or impulse arises. Try to be brief and to the point before you get sidetracked which can happen occasionally. Body language is important and you should not cross your arms or stare intently during a long conversation. Eye contact is more important during a short conversation and smiling always helps but you can deflect your eyes quite often during a long conversation. Word fillers can be just as annoying as long pauses so try to avoid repeating useless words such as “um”, “like”, and “you know” throughout the conversation. Really listen to the response and you will better be able to judge whether you were misunderstood, whether the human was upset or delighted by your question or statement, or whether the human is offering an opinion or fact which can be used as a follow up question or a reason to continue the flow of the conversation. If you really listen more than you talk then you may be surprised by what you can learn and you will be respected more since you will be showing a sincere interest in the talker. It is ok to interrupt if the human is getting off subject or is delving into boring trivia. You can interrupt and can change the subject or postpone the discussion to a later date or time. Some interruptions can be rude such as the distractions of a cell phone, others entering the conversation unannounced, and trying to multitask. A lengthy conversation is usually a two way street or a mutual conversation and empathy is sometimes very important. To demonstrate sincere empathetic engagement you can repeat another’s word, phrase, or sentence and use this as a source for follow up questions which keep the conversation going. Using words such as “I know how you feel”, “That happened to me too”, “I feel your excitement or pain”, and “My feeling exactly” will make a human feel that they are saying something important or interesting and that you care about them. If there is time then you can tell a story or relate a personal experience which fits the topic of the conversation and gets the point across so do this. Many humans like stories with a point and personal experiences or examples from real life which inform or demonstrate a principle. Sometimes conversations can erupt into arguments, especially when opinions or beliefs conflict or a human feels that they have been offended, so try to remain in discussion mode and apologize if you hurt someone’s feelings unintentionally. Sometimes agree to disagree to get the conversation out of confrontation mode. If you have integrity or are honest and moral, are trustworthy, sincere, dependable, friendly, and competent with some empathy then humans will respect you and even admire you. They will be more interested in what you have to say. In a nutshell to have a good conversation, listen more than you speak, ask follow up questions, stick to topics of mutual interest, and be empathetic where appropriate. This entry was posted in common sense and tagged body language, common sense, communication, conversations, empathy, listen, mutual interest, question on February 18, 2018 by uldissprogis. UPDATED NEW QUOTE BY ULDIS SPROGIS 1115!!! This entry was posted in common sense and tagged common sense, conversations, energy, forced interactions, friendships, language, meaningless, patience, quotes, truth, wisdom, wise sayings, words on June 15, 2017 by uldissprogis. UPDATED NEW QUOTE BY ULDIS SPROGIS 661!!! This entry was posted in common sense and tagged common sense, conversations, friendships, human nature, quotes, relationships, time, trivia, truth, wisdom, wise sayings on September 4, 2016 by uldissprogis. In good communications you should be a good listener first and really pay attention to what someone is saying and feeling. Humans will feel respected if you listen to them and don’t rudely interrupt or cut them off. After listening carefully you can follow up with some questions to probe more deeply what the human is trying to say or convey and how they feel about the issue. Try to empathize with whom you are talking to. You will better understand where they are coming from and how they feel about an issue. You can then answer in a competent and hopefully concise way and maintain a flowing conversation giving emotional support if necessary or give advice which you may feel is useful. The success of many conversations not only depends on how smart you are or your IQ but on your EQ or emotional quotient or emotional smarts. Humans generally make impulsive decisions based on their feelings about an issue and not so much the logical consequences or the facts. Understanding that emotions are frequently more important in a conversation and must be dealt with first is a fundamental fact of successful human communication, especially if you are in a leadership position and must also get emotional support for your decisions. You should keep arguments to a minimum in a good conversation and unless your beliefs are almost identical then you should leave hot topics like politics, religion, and sports alone and discuss them rarely if at all. In any conversation you will find differing opinions and beliefs and sometimes the smartest thing to do is to accept differing opinions and beliefs and not try to change them unless they will impact you in a very bad way. Gossiping or spreading unproven bad facts about a human is not a very good thing to do and if you find that whom you are talking to is a gossiper then you should keep at a healthy distance from them because they may spread an untrue rumor about you in the foreseeable future which may hurt your reputation. If a conversation is becoming repetitive or boring switch topics and if that doesn’t work then cut the conversation off for another time and proceed to do something more constructive. Conversation should not waste your time and if you find that it seems to have no useful purpose or that it is mostly about random unimportant things then don’t waste your time and cut it short. Communication is different whether you are talking to your children, spouse, relatives, friend, boss, employee, or casual acquaintance. With your children you are probably more of an authority figure or the boss who knows what is frequently good for them. You expect them to behave in a certain way or you take away their privileges or punish them in some way if they misbehave. With your spouse you may be very laid back or casual and feel free discussing almost any topic which enters your head. You should have an honest, sincere, and reliable or trustworthy relationship so that you can share some secrets or personal feelings which would cause you trouble if the secrets or opinions became public knowledge. Not only should your spouse be someone whom you trust with sensitive information but they are someone with whom you can share your innermost feelings and know that they will understand you and give you moral or emotional support if necessary. Realize that many times your female spouse may be looking mostly for emotional support or empathy and not really want advice on how to solve her problems. Communicating with a close friend is almost like a marriage where you basically trust one another with sensitive information and you may discuss some male or female issues or topics which you may not even share that intimately with your spouse. Some close friends can even be a source of good marital advice if both of you are in generally happy marital relationships. Business conversations or etiquette is a complex specialty but even here listening intently with empathy and answering in short and concise ways is a good general rule of thumb to follow. On a first date you may not want to reveal a serious health problem or a dysfunctional family but if you want a serious honest, sincere, and reliable or trustworthy relationship to develop then you will eventually have to reveal your bad circumstances and it is better to do so before marriage than after it. Social media and texting is rapidly changing how we communicate with each other and is taking much of the emotion out and permitting more exclusive brief communications. Some may feel that it is dehumanizing conversation. I feel that it is making communication more rational and concise and will benefit almost everyone in the long duration. Finally most women like to talk more than men so if you find out that a woman is talking much more than you then don’t stress about it but accept it as a common natural cultural phenomenon. If you liked this evergreen truth blog then read more of them, approximately 600 so far, and one or more of my evergreen truth books, especially COMMON SENSE, rays of truth in a human world filled with myths and deceptions. This entry was posted in common sense, education, science, society and tagged common sense, communication, conversations, education, empathy, science, society, speech, talking, the truth about communication, truth on March 17, 2014 by uldissprogis. Someone’s beliefs may sound crazy to you but these people honestly believe subsets which are completely illogical and unreasonable. It can be very difficult to listen to them coolly and maturely and respectfully. Pointing to the logical problems with their beliefs seldom helps. Understanding that another’s irrational beliefs were indoctrinated by bad historical myths and behaviors of their role models is smart. Live and let live without fighting about it is smart and silence is golden so don’t communicate about the wrong belief. Most people try to avoid conflict but this is not always possible. When in conflict with someone listen to them and you may find common ground. Try to make them understand your position by communicating understandably but firmly. One side may give in completely or a little or the communication may increase emotionally but eventually there will be some conclusion even though it may only be a consensus that you each will remain with your own opinions or concepts. Many employers are now using what can be called a verbal warning. The logic of a verbal warning is that it is an attempt to correct a problem before it becomes bad enough to make a formal action necessary. At that moment it is easy to become defensive and answer back with an objection but instead only listen to their topic with an open mind. Once you have heard the topic and understand what led to the verbal warning then adjust your circumstance and correct your behavior. You may want to complain to those with some power over you since we can’t always solve our own problems ourselves. Be careful not to bother someone with a problem they’re powerless to solve. Describe the problem thoroughly without exaggeration and try to only use the facts. Once you have told your supervisor the problem let them behave the best even though you may frequently disagree with their solution or solutions. If a better solution suddenly exists in your mind then offer it respectfully and see if your supervisor will approve or maintain the same opinion. All businesses have complaining customers. Listen carefully to the complaint to the very end since it will make the customer feel that they have been heard and understood. Continue with a question or two if you don’t understand the complaint right away. If you don’t have an immediate answer then consult with your coworkers who may have dealt with a similar problem. If your coworkers can’t solve the problem then take it to your supervisor. One of life’s most flattering and stressful experiences is when someone asks you for constructive criticism. If you can help be honest and even tell the truth if it is bad news and not good news. Share your opinions and give them a chance to defend theirs. It’s even possible that you may change your mind. In the end what you can do is tell them the truth as you subjectively see it and they will either accept it or disagree in private. Misunderstandings are common and you should try to easily avoid them. Don’t use random words but try to communicate as understandably and relevantly and politely as possible without emotional outbursts. Choosing the right truthful words should be enough but try to avoid using information which will make people feel intensely because they sincerely may not share your emotions or feelings on the subject. Don’t express kindness and try to deceive people by trying to hide your personal feelings of superiority. This patronizing insults a person and tells them exactly what you really feel about them and unfortunately other people will have a tendency to react with approval to the patronizing. Don’t talk to people when they say they are lucky or unlucky because luck should be a very small subset in your successful life and if you feel unlucky then it is usually your own fault that a subset didn’t work or perform as you wished. When you ask what’s with a body subset such as a reddish eye or slurred speech be considerate because they are probably embarrassed before you communicate it. It may seem rude to start communicating the unpleasant fact but that is no reason why you can’t discuss it openly and honestly without implying disapproval. Perhaps the hardest thing to master is to avoid conflict after easily saying NO or SORRY NO to a communication especially a favor. Justifying such a short answer can be very difficult. When we are asked to do a behavior which seems easy or enjoyable we frequently do it. Frequently saying yes to an asked favor can increase into unreasonable and impractical demands which sadly require you to create complete boundaries or you run the risk of becoming everybody’s servant and not getting paid for it. Sometimes someone comes to you with a problem when they really only want emotional support to continue on and solve the problem mostly on their own. Learn to recognize a plea for emotional support and nothing more because even in close relationships at home and with friends sometimes just reassurance and empathetic expression is all that is requested when a bad situation arises and it is all that is needed in the circumstance. Probing too much at such a time may just create conflict and defensiveness which would not have arisen otherwise. If you liked this evergreen blog read more of them and read one or more of my evergreen books, especially COMMON SENSE. This entry was posted in business, common sense, education, science, society and tagged arguments, business, common sense, conflict, conversations, education, leadership, opinion, politics, science, society on May 11, 2013 by uldissprogis. 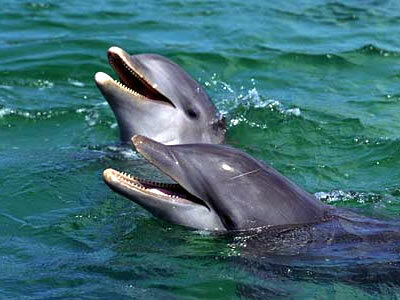 ANIMAL SOUNDS COMMUNICATE MEANINGFULLY, ESPECIALLY WITH THE SAME SPECIES!!!!! Animal sounds are not just noise but meaningful communications which we all intuitively know if we have sociable cats and/or dogs which seem to be communicating with us some of the time. We can learn from animals which communicate purposefully and do not pursue trivial and random communications which can really be considered noise without valuable content. If you want to be more efficient in your communications with humans try to be short and brief and to the point and don’t just randomly talk about what just impulsively pops into your head. Ask whether what you are about to say will inform the other human with something which they can use in their life such as good advice backed up with personal experiences or teaching them new important facts which they can use in their lives. Try to avoid gossip and going on and on about what existed in your life in the past and minute details about your daily life. Don’t bore people and frighten away potential new friends by trying to hang out with them conversationally. Above all be selective in the humans you talk to the most in a smart way and usually don’t say anything at all or cut the conversation short if what you are about to say won’t help that other person in living their daily lives. Silence is frequently golden in the wild and you should learn to be more silent in your life. Especially think about what you are about to say in silence for a few seconds before you actually say something which should be usually important. If you love to talk record your conversations on a mini audio recorder and then play them back when you have some time and start analyzing the conversations by asking. Was what I said trivial and uninformative? If the answer is yes then don’t say the same thing in the future. Did it help the other human in some way? If you don’t think you helped then don’t say it in future conversations. Could I have said what I said in fewer words and still get the message across? Analyze and eliminate those words and phrases or topics which don’t get any valuable message across in future conversations and become a more efficient more interesting talker. Many of us just have a bad blabbing habit which all of us should be working to decrease in our lives because it is effectively just trivial noise no one wants to hear or should hear. THERE IS PROOF OF BANDED MONGOOSE COMMUNICATION IN A RECENT ARTICLE FROM POPSCI.COM POSTED BY REBECCA BOYLE 1/11/2013. This entry was posted in common sense, education, globalism, love, parenting, science, society and tagged boring conversations, common sense, communicating, community, conversations, creativity, culture, education, globalism, love, parenting, science, society, talking, videogames on April 6, 2013 by uldissprogis.